The festival of Diwali, commonly referred as the “Festival of Lights” is marked to celebrate the victory of good over the evil. The festival is majorly celebrated by Hindus? Sikhs and Jains, all over the nation,on the lunr eclipse day in the Hindu month of Kartika. The traditional way of how the festival is celebrated can be noted from the colurful, twinkling lights illuminating all houses, shops, offices and every nooks and corner of the streets. Exuberance firework displays, creating embellished floor artwork or rangolis, worshiping Lord Ganesh and Goddess Lakshmi as well as exchange of gifts and sweets are the pre-eminent scenes observed in every household,on the day of Diwali. As mentioned earlier, exchange of Gifts during Diwali holds great significance and is a social custom. 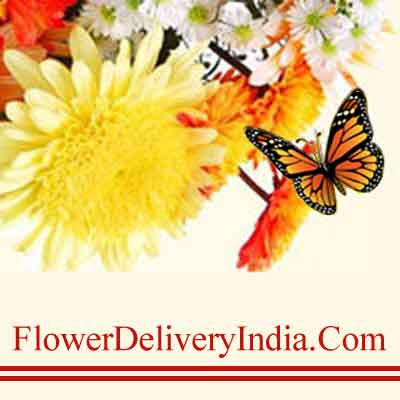 People apart from purchasing Gifts in person, nowadays, often order online and Send Diwali Gifts to India for their dear ones. This is the most effective as well as the most convenient way to send tokens of love and appreciation for people whom you miss the most, specially on such a huge occasion. Gifts without sweets is merely acceptable in this time of the year. A Diwali gift without a box of piquant Mithais is something which is beyond imagination. People on this day, Send Diwali Sweets to India for distant relatives and close fiends, besides purchasing Sweets for one’s own family. The tradition of lending nicely packed sweetmeats like Mouth-Watering Peda on Diwali, Haldirams Kaju Katli, Glorifying Relations Diwali Pack, Haldirams Assorted Sweets Haldirams Pure Ghee Laddoo N Silver Thali, Pleasurable Ampleness Diwali Gathering etc. only adds to the glee and vigor of one’s Diwali celebration. Besides sweets, individuals also go for contemporary comestible gifting options such as the dainty Dry Fruits. Adding Dry Fruits to Diwali gifting bucket list is a must. This is because, a dry fruit not only is appetizing but also contains high nutritive value and are best to keep your dear one’s warm when winter is just knocking at the door, during Diwali. Henceforth, people Send Diwali Dry Fruits to India wrapped in the essence of their adoration and serve their dear ones with some wholesome goodness on the significant occasion of Diwali. The ovation of heart’s best-delivered emotion---amour, annually on a particular day, i.e 14th of February, has its roots in the third century Rome. Claudius II ruled Rome at that time and for sake of expanding his army, he urged that his young subjects remain bachelors. In this scenario, emerged a seraphim named Saint Valentine, who challenged the Emperor and organized secret marriages of love couples. When discovered, his execution was ordered by Claudius II. At prison, the saint fell in love with a young girl–possibly his jailor’s daughter–who visited him to keep up his spirits. Before his death, tales vow that he wrote her a letter signed “From your Valentine,” an expression that is still in use today. In the 5th Century Christianity coroneted the day of Valentine’s execution---which fell on February 14th as ‘Valentine’s Day’ to exalt the saint’s sacrifice. Valentine’s Day is a day devoted to the expression and veneration of love in each one’s exquisite way. Celebrations of romance on Valentine's Day date as far back as the Middle Ages. Sending Cards and Notes for Valentine's Day Sending cards was a pretty big trend during the Victorian era, too. According to history, it was the famed poet Chaucer who first linked St. Valentine's Day with romance. By the 18th century, gift-giving and exchanging handmade cards on Valentine's Day became common in the Western world. Hand-made Valentine Cards made of lace, ribbons, and featuring Love-Angel Cupid and Amour Hearts eventually spread to the America at 1850s. The vibe reached Asia and Indian Subcontinent at the beginning of 1990s. At present, Greeting Card Association estimates a sale of around 1 billion Valentine’s Day cards each year, making Valentine’s Day the second largest card-sending day of the year after Christmas. Along with cards, gifting of candies, soft teddies and lovely corsages of flowers are the gradual splendid developments of this divine day. Embellishing one’s Valentine with one of these tokens has been made easy by the emergence of cyber shopping portals. These porches enables one to select that exclusive love token for his/her beloved at the ease of preferred time and that too from a diverse collection of 14th February special stock. 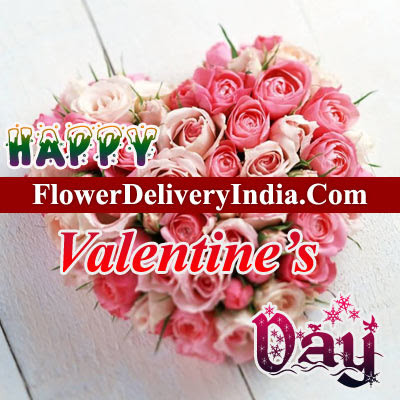 Send Valentine's Day Gifts to India through our online portal and gorge his/her with glee. 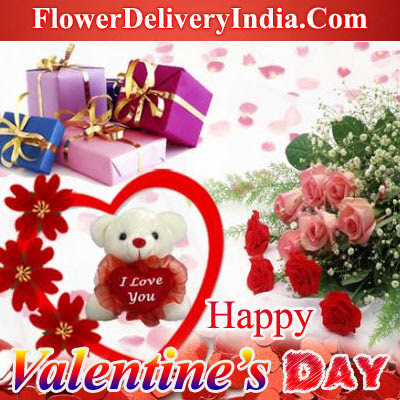 Send Valentine's Day Flowers to India by our cyber store to your beloved and let amour unite both of yours fondues. Commemorate Valentine’s Day by drenching your very own Valentine’s soul with the supernal nectar of love. India is the most festival celebrating country every year, where people of all the religions celebrate their different festivals according to their own culture and tradition. 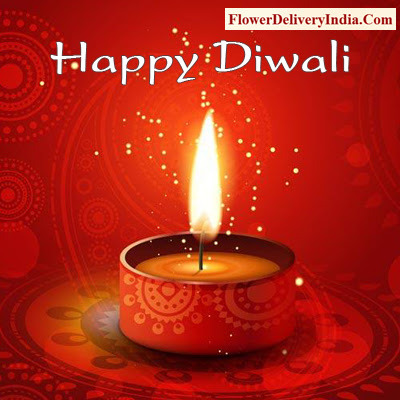 Diwali is one of the most celebrated, important, traditional and cultural festivals of India for the people of Hindu religion which they celebrate very enthusiastically every year by gathering together with relatives, family, friends and neighbors. It is also known as festival of lights or Deepawali. It is the festival of great joy and enthusiasm which falls every year in the month of October or November. People worship the Goddess Lakshmi and Lord Ganesh after the sunset according to the Hindu calendar. They pray to the God and Goddess to get more blessings, health, wealth and bright future. They cook delicious dishes of foods and sweets all the five days of the Diwali festival. People play a variety of games at this day. They come close to the good activities and throw away bad habits to get the real victory over the evil power. Diwali festival is celebrated by the people with great revelry and lots of fun and frolic activities. It becomes the happiest holiday for Indian people in the year and celebrated with significant preparations. It is the festival of high significance for Indian people during which people clean their homes, decorate, do shopping, buy new things including gifts, kitchen utensils, appliances, cars, golden jewelry, etc and perform so many rituals. There are many ancient stories, legends, and myths about celebrating this festival. Girls and women of the home do shopping and make rangolis in creative patterns on the floors near to the doors and walkways of home. There are little variations in the celebration of this festival according to the regional practices and rituals. Send Diwali Hampers to India and make your mark forever in the heart of your dear one. 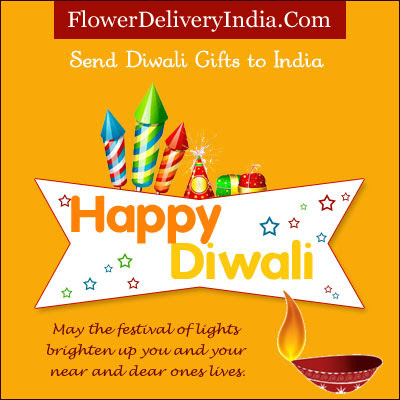 Send Diwali Gifts to India online and spreads happiness and brightness in the lives of your Dear ones. 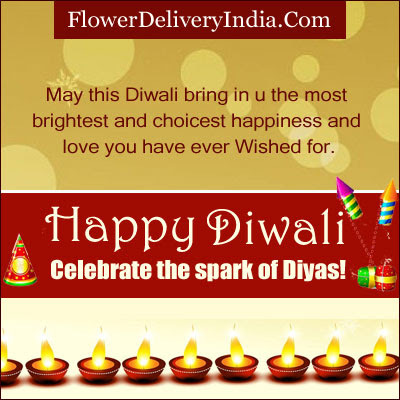 Sending Deepavali Gifts to India online is the wonderful option to make your dear one feel very special. 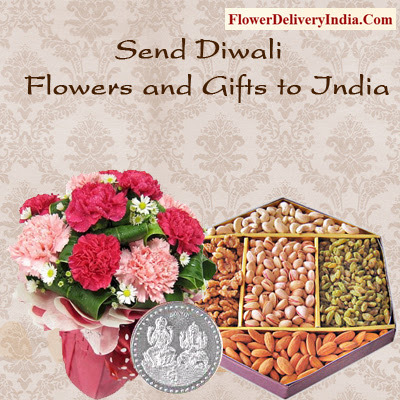 Send Diwali Sweets to India and create beautiful memories to cherish. Deepavali is a festival of lights. Diwali is a corrupt form of Deepavali. Deepavali means row of lights. It is a symbol of victory of light over darkness. People celebrate Deepavali as they have come to light out of darkness. Deepavali, the next day, is Lakshmi Puja Day. Merchants and shop­keepers close their accounts of the previous year and open new accounts. Shops are well decorated and alms are given to the poor. By evening all the houses are decorated with lamps. Girls and women take a lot of time arranging the lamps. Then the Gouri Puja or Lakshmi Puja starts. An idol of Gouri is made and it is decorated with all jewels. Rich food is offered to the deity and prayers are said requesting the deity to give wealth. Merchants do the Lakshmi Puja late in the night and keep awake. They believe Goddess Lakshmi enters their houses at midnight. On this festival, sweets are made and distributed among friends and relatives. People indulge in fun and frolic on the day of Diwali. New clothes are worn by the young and the old. At the same time during night, fire-works and crackers are also let off. The bright flames of the fire-work present an exquisite sight in the dark night. The festival wears a lovely look. Everyone celebrates it in the most enthusiastic way some indulge in gambling according to gamblers, forms a part of Diwali festival. At night the people illuminate their houses, walls and terraces with earthen pots. The glittering lights in the darkness of night present a bewitching spectacle. Apart from houses, public buildings and government officers are also lit up. The scene of lights and illumination is very enchanting. Holi is a colorful festival in our country generally falls in spring season every year. We call this occasion as Phagwah too. It is also called the spring festival as it marks the arrival of spring the season of hope and joy. This is one of the major festivals of India is celebrated with enthusiasm and gaiety on the full moon day in the month of February-March as per the calendar. We call this festival in different names celebrated every most of the part of our country. The spirit of this significant festival is so unique and special and as well it is celebrated nationwide, even if across the globe too. Everybody gets delighted at the arrival of this remarkable festive as the season itself is so sparkling. The bitterness of the winter goes as these festival promises of bright summer days. Nature too, it seems reveals at the arrival of this significant festival and wears its best clothes. Fields get filled with crops promising a good harvest to the farmers and flowers bloom coloring the surroundings and filling fragrance in the air. 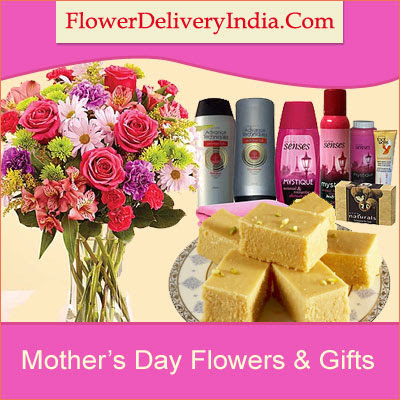 On this auspicious day mesmerize your dear ones with fabulous gift items available at any Online Shopping Store. 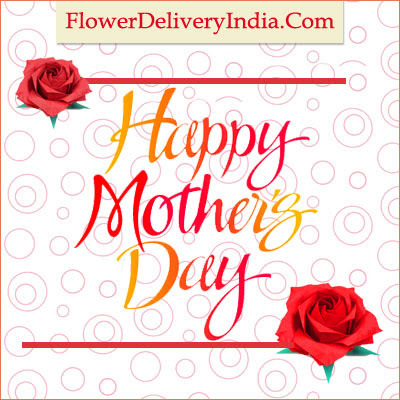 Just let your fingers click at gift related website and send mouth-watering Cake, creamy Chocolates, assorted Sweets and Dried Fruits along with may other dynamic hampers at the doorstep of your loved ones in every corner of India at very affordable prices. The colors are known as 'Gulal' and wet colors or 'Rang' were originally prepared naturally from the flowers and other products that had dyeing properties. However with time, in the quest of more long-lasting and strong colors, chemically enhanced and artificial colors have come in latest tradition. The harmful effects of these chemicals on our body and eyes have forced us to do a turn-about to the natural colors. These natural holi colors are perfectly safe and do not cause any harm to skin or to the face. Also there is no trouble if these colors go into the eye and are also easy to take off after playing a good spirited significant festival. It is a great experience to play with these splashy colors with our family members, friends and as well our special one too. Lovers too long apply colors on their beloved. It is also said that mischievous Lord Krishna started the trend of playing colors. He applied colors on his beloved Radha to make her one like him. There is also a tradition of consuming the very stimulating bhang on this day to further enhance the spirit of Holi. This remarkable festival encourages the feeling of brotherhood in society and even the enemies turn friend on this day. People of all communities and even religions participate in this joyous and colorful feast and strengthen the secular fabric of the nation.